Director of the Defense Express consulting firm Serhiy Zgurets has posted footage showcasing the technical capabilities of the Ukrainian-made Oplot main battle tank. "Kharkiv-based Malyshev plant, Ukraine, continues fulfilling a contract to supply new Oplot tanks to Thailand!" he wrote on Facebook on Sunday, May 28. Read alsoUkrainian MBTs for Thailand"This footage features both the plant's workshop with the next batch of Oplot tanks for the Thai army. And the one "Pakistani" Oplot that is getting ready to fight a tank battle for a new contract," he said. 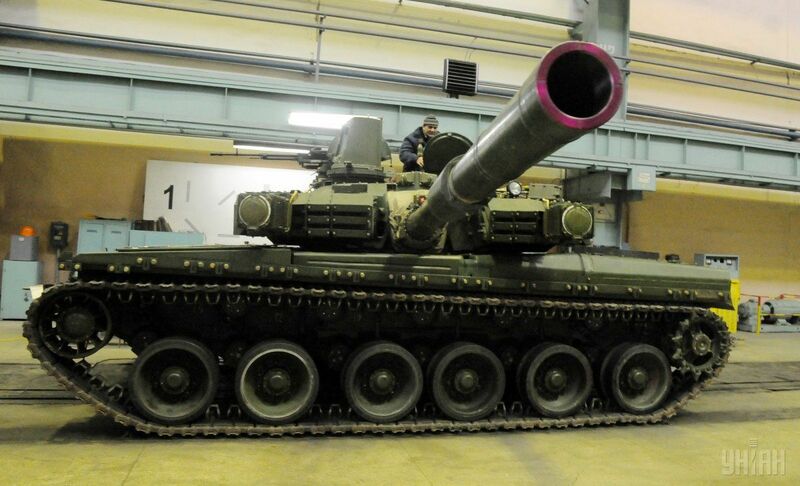 As UNIAN reported, chief engineer at Kharkiv-based Malyshev Plant Oleksandr Sheiko announced on May 25 that a new batch of the Ukrainian-made Oplot main battle tanks would be supplied under a contract to Thailand the following week.